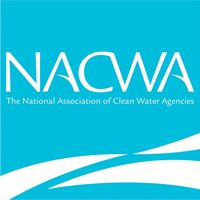 Washington, D.C. – (RealEstateRama) — To assist low-income households in the U.S. with rising water and wastewater rates, seven leading water associations issued a guide that assesses the feasibility of rate-funded customer assistance programs (CAPs) in each state. Water and wastewater rates in the United States are increasing sharply as utilities address aging water infrastructure, water treatment and regulatory compliance investments, and other expenses. The necessary rate increases are challenging for customers who struggle to pay for essential needs. The guide, “Navigating Legal Pathways to Rate-Funded Customer Assistance Programs,” explores the differing legal frameworks that must be considered by utilities seeking to use rate revenue to fund programs that assist low-income customers. Private utilities, government-owned utilities, and nonprofit utilities often fall under different regulatory frameworks that influence their abilities to use rate revenues to fund customer assistance programs. Regulation of water and wastewater pricing differs in some states. Only a few states have laws that clearly address the authority to establish customer assistance programs from rate revenues. In some states, the administrative authority of home rule (the ability of local governments to set policy somewhat independently of state government) has allowed utilities to set their own regulatory guidelines for establishing CAPs. Most state regulations do not include specific language related to CAPs. If there is strong support for these programs in the state, utilities can work to clarify the state statutes and regulations in their state to authorize, expressly, these programs. Utilities can carefully review the exact problematic language in their state law and make sure their programs are designed to overcome those limits. In addition to state-by-state summaries (including Puerto Rico and the District of Columbia) of legal barriers and opportunities, the guide uses nine case studies at the utility level to highlight how CAPs were designed in light of relevant state regulations. Case studies include the City of Atlanta Department of Watershed Management, California Water Service, Camden County Municipal Utilities Authority (NJ), Great Lakes Water Authority and the Detroit Water and Sewerage Department, SUEZ New York and New York American Water, City of Portland Water Bureau, City of Raleigh Public Utilities Department (NC), City of Seattle Public Utilities and the DC Water and Sewer Authority. In addition to being available on the UNC Environmental Finance Center (EFC) webpage, the guide will also be available through the sponsoring organizations’ websites. The UNC EFC webpage also includes an interactive map to allow users quicker access to the state-specific information.